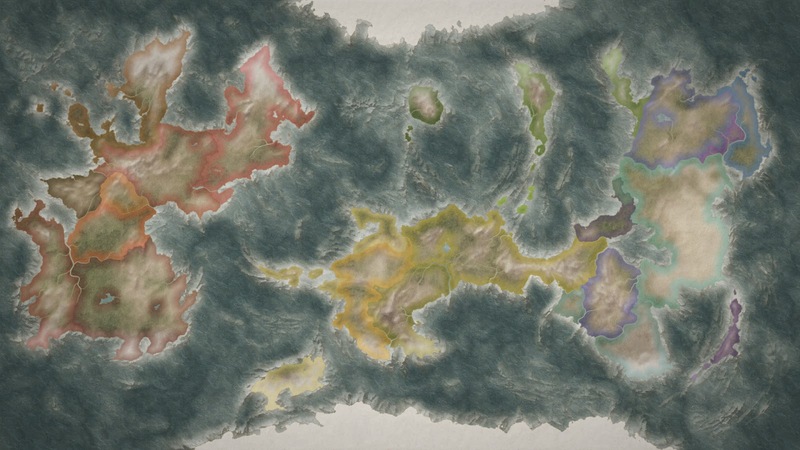 I also added some borders of fantasy realms (see below). As you see, I tried to give every continent an own colour spectrum to show where natural borders are located. The names of nearby realms too resemble several features to give them some local flavor. Also realm borders run next to rivers and hills as often as possible, since these natural obstacles are a lot easier to defend. Maybe I'll fill this world with more life (names of rivers, hills, desserts and stories of the realms, etc. ), or I'll try again with a bigger size, where you can zoom in on different regions to explore them, don't know yet.